The conflict in Ukraine entered its fifth year this winter, and the ongoing fighting has meant that populations affected by the violence continue to struggle to meet basic humanitarian needs and access markets and services. The challenges faced by civilians in conflict affected regions become even more pertinent as temperatures drop during winter months routinely plummeting to minus 20 degrees Celsius. Until recently, knowledge on the seasonal differences in humanitarian needs in Ukraine was scarce and piecemeal. With the drastic weather conditions and this information gap in mind, REACH conducted a comprehensive assessment in Ukrainian government-controlled areas within five kilometers of the Line of Contact, the line separating eastern Ukraine into government-controlled and non-government-controlled areas. Data for the Winter Assessment of Government-Controlled Areas within 5km of the Line of Contact was collected in February, one of the coldest months of the year, and consisted of nearly 600 face-to-face household surveys investigating the needs of urban and rural populations in Donetsk and Luhansk oblasts. The questionnaire was developed in cooperation with the Shelter Cluster and numerous UN and NGO partners. According to the assessment, winter conditions negatively impacted households by, for example, deepening barriers in accessing basic services, increasing pressure on finances due to high utility costs and intensifying protection concerns due to land mines and the need to fetch firewood from forests. Rural households faced additional difficulties in traveling long distances to health and education facilities as poor weather conditions made roads unfeasible. The difficulties in accessing services were noted to be coupled with the high rate of respondents reporting additional health concerns during winter. When comparing the February findings with a similar assessment conducted in September, REACH noted a 61 percent increase in households scoring poor or borderline in questions measuring food consumption, and a substantial number of households reported reduced quality of fruits and vegetables available to them. Of particular concern were single-headed households and heads of households between 51-60 years of age. For these two groups the Food Security Index scores measuring affordability, availability, and quality of food were much lower than for other household types. The results of the Winter Assessment provide partners, humanitarian actors and international donors timely information on seasonal needs in the near vicinity of the Line of Contact. In spite of the ongoing summer season, this information is increasingly critical as humanitarian actors develop and design their interventions for the upcoming winter. 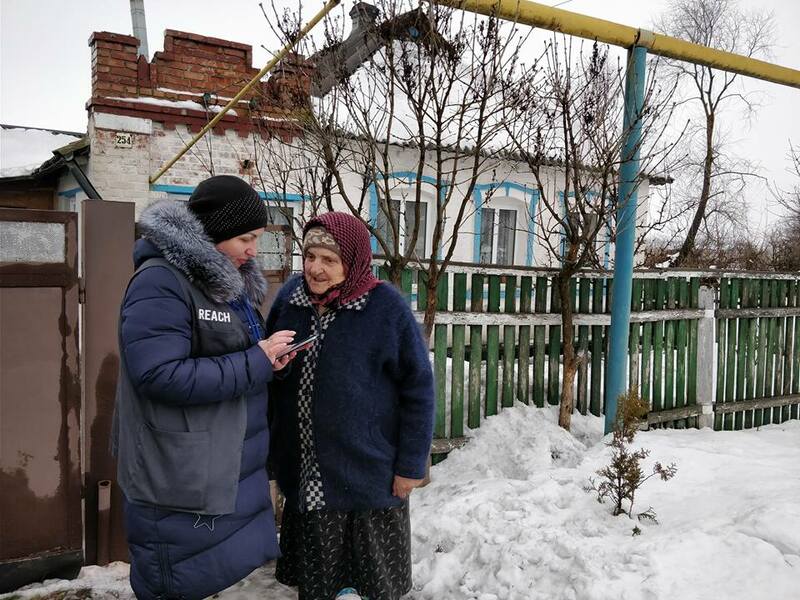 For a comprehensive overview of the findings from the assessment, visit Ukraine’s page on the REACH Resource Centre and read the full Winter Assessment of Government-Controlled Areas within 5km of the Line of Contact.